When investing in real estate, rental price checks help avoid investing in bubbles. No investment strategy is perfect. If you invest in a new area early, it can be that rental prices do not yet reflect long term value (say rental prices near an announced MRT station but one that won’t actually be in service for 5 years). But ignoring rental prices is risky (just believing long term things will keep going up – this was a big part of the problem in the USA bubble – prices way out of line with rental values). For this reason, I am skeptical, of investing without rental market checks (including vacancy rates). 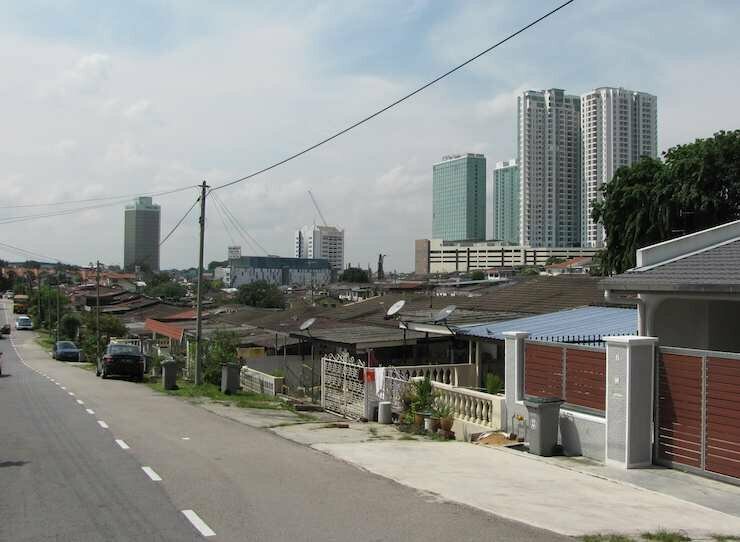 It is also true I think it is not yet a fully functioning rental market in the new housing estates in Johor Bahru. It will likely be at least 3-5 more years to get a decent idea of where rental prices will be going and how much rental demand there is. Properties can sell to investors from Singapore (and many other places) that buy the properties to use as vacation homes, retirement homes… for their long term plans). This can even be sustainable over the long term (a significant portion of units bought this way) BUT it is much riskier as an investment than if the units bought for investment are rented out and a fair market rate can be determined to evaluate purchase prices. To me the key to the investment potential of JB real estate is most importantly, JB having jobs that allow people to buy or rent these houses. It seems to me at the current time there are not enough of those jobs. The second key is Singaporean’s buying (and working in Singapore – commuting). The 3rd pool of users of the real estate are retirees (Malaysians, Singaporeans and others). I would put vacation homes… as 4th, after all those others. At the current time many sales seem to be going to investors. Those investors can sell to other investors but that is not a sustainable model for increasing prices. Investors have to sell (or rent) to users of the properties. making it easy to commute and travel between Singapore and Johor Bahru. This is important for both those that want to commute and for say Singaporeans that want to retire to JB (or buy their parents a place in JB) – For some commuting times are important for others they just need it convenient for say weekly trips. making it reasonable for foreigners to invest: both making it reasonable for foreigners to buy real estate (increasing demand) and reasonable for large investments (factories, back office high rises…) that will create high paying jobs. It seems to me a big way to get things moving quickly is to get companies in Singapore to move some back office jobs to JB (so far there has been less of this that I think would be wise in the market – I think companies are still not convinced relations will remain very strong, though it is getting closer.). This can both decrease the companies cost and provide good paying jobs in JB. It also is a big incentive for those people working in Johor Bahru to live in JB. Many people commute from JB to Singapore but some don’t want to do that; if their high paying job can be located in JB that would make more happy to live in JB. For several of these education for kids would be useful. Good local schools would encourage high income workers that want schools for their kids to consider the area (sending kids to school in Singapore is an option but the long commute is a drawback). Medical care would be good both for providing high paying jobs and especially for retirees (and young families). Another thing to consider for the Iskandar region for attractive tenants (for Johor Bahru properties) are MM2H expats. The MM2H visa is an attractive option that isn’t really available in Singapore (unless you are [B]very[/B] wealthy). Right now many MM2H live in Kuala Lumpor or Penang, but Johor Bahru is a very attractive option (especially with the proximity to Singapore). It seems to me, at this time, few MM2H expats are not really considering JB. I think there could be a very large increase in this demand over time. Investing successfully involves picking out opportunities the market does not fully appreciate yet. Often the best returns are for those investments where very few investors see much potential or where investors are not convinced of the larger economic factors (being nervous about investing in some country…). I read more and more anecdotes of people (largely from Singapore) taking new interest in potential investments in Johor. This is potentially a good sign. It is a good sign if more people are sensible evaluating future prospects and deciding the long term viability of Iskandar is increasing. I do think the signs in the last year has been positive for practices to bring about Iskandar (as it can be) are being applied (backing up what people have said would happen). If these investors are merely following the current hot investing trend that is a risk (many markets globally have had problems with such herding investor behavior in the last decade). Long term commitment, by countries, to economic investment (especially when short term interest get in the way) is fraught with risk. Few countries (Singapore is one of them) have shown the ability to stick to long term economic strategies when difficulties arise. Often short cuts are taken to aid the most powerful, governments fail to follow through with promises (to actually allow businesses to operate freely or to bring off mass transit systems well…). Iskandar should still offer higher potential returns precisely because risks are still there for what will happen. This is good for investors. But investors need to also remember there are risks. One of the big problems in the last 10-15 years is large scale ignoring of investment risks across the globe. Another thing investors in Iskandar should remember is the success of that investment is significantly dependent on government action following through on all the good talk. So far things are progressing very well. But investors should be very interested in making sure that continues. As an investor you can’t only notice once the issues reduce the value of your investment directly. If you wait that long, it is too late.